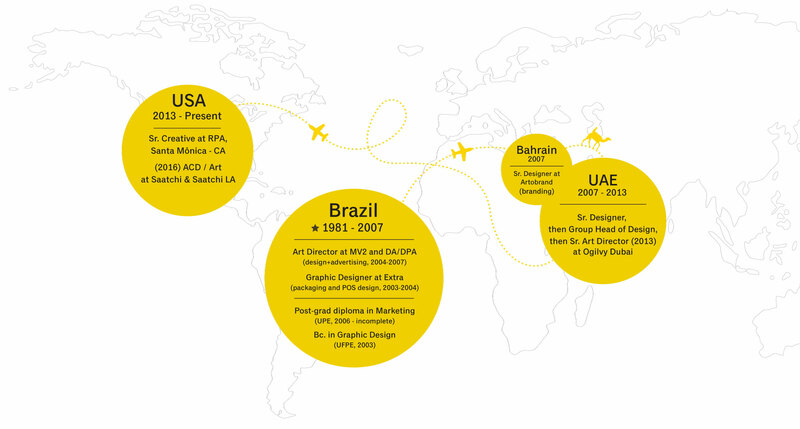 I have lived a diverse career – I've worked in Brazil, Dubai and the USA; with design, art direction and advertising; with big budgets and on a budget. 15 years in the communication business made made me sure that originality is the keystone to outstanding communication. I don't do what everybody else is doing because that's the fastest way to mediocrity. Great work (and a great life) is achieved when we strive to find meaningful originality. I have another 4 rules I follow to get myself and my teams to outstanding work. I'd love to tell you all about it. Get in touch by emailing me at leo@leorosaborges.com – If you want to know more about my professional journey, just scroll down.